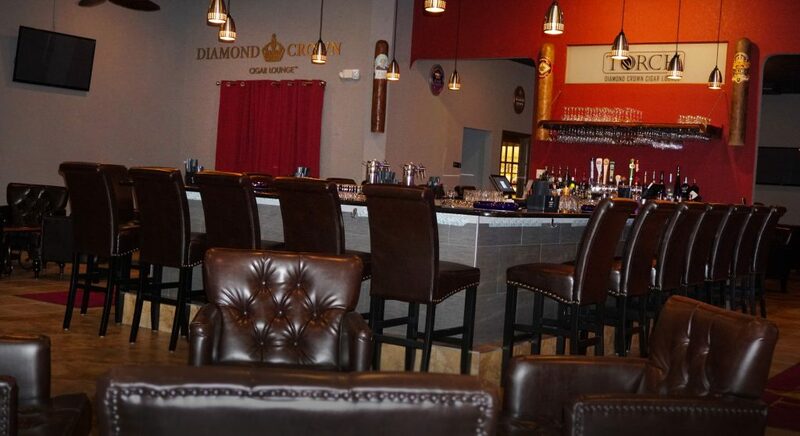 Torch Diamond Crown Cigar Lounge, conveniently located at 15407 N Dale Mabry in Carrollwood is as inviting as it is classy. Featuring a beautiful space with contemporary design, new-fashioned leather furnishings and a warm relaxed atmosphere, Torch is destined to be a lounging sanctuary for enthusiasts of fine cigars and spirits. With a world-class selection of over 150 cigars in a beautiful, walk-in humidor, a row of private humidor lockers, a huge selection of whiskeys and spirits, beers on tap or by the bottle, wines by the glass or by the bottle, and an expansive selection of specialty craft cocktails, Torch offers something for everyone to enjoy. 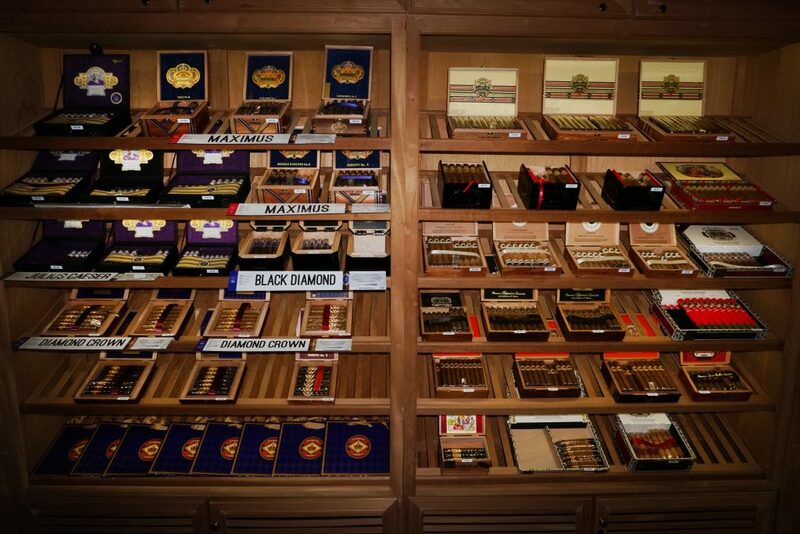 Managing partner, Michael Sauceda, takes pride in stocking those hard to find bourbons and scotches, which are paired perfectly with one of their many premium cigars. “We created this place for the community to unwind in a comfortable setting, while enjoying a great premium cigar and cocktail of choice,” says Michael. Boasting the perfect setting to enjoy a drink and a fine cigar, Torch provides a truly upscale lounge experience which attracts a wide demographic of patrons; from the younger professionals who are just starting to explore the complexities of a fine premium cigar, to the well-seasoned cigar aficionados. “Everyone is welcome at Torch, whether you are a man or a woman, from 18 to 100 years old, no matter if you know a lot about cigars or even if you don’t even smoke at all,” says Michael. Anyone looking for an unparalleled experience is welcome at Torch, and you will enjoy the utmost in service, pleasure and relaxation. Michael invited me to come over and experience his new location and immediately upon entering I noticed how beautiful and classy the lounge was, those leather tufted button chairs sure were comfortable. 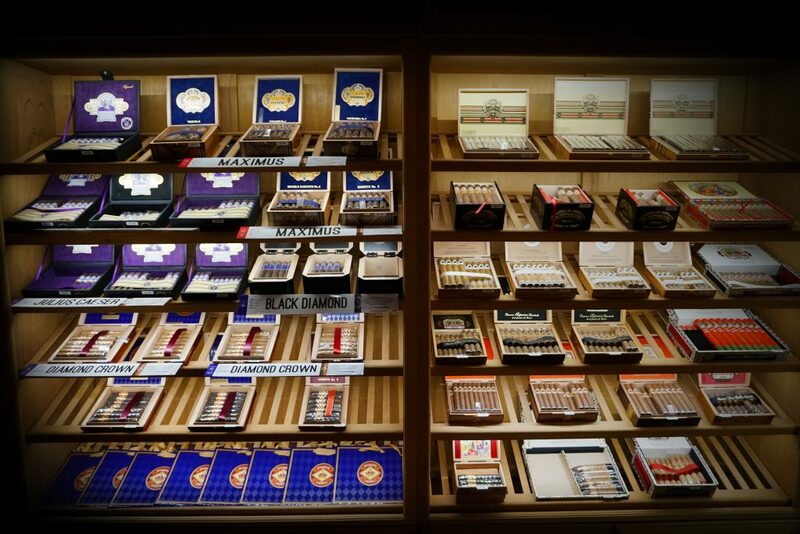 Everything is brand new, including the state of the art ventilation system that everyone can appreciate, from the cigar lover to the non-smoking patrons. 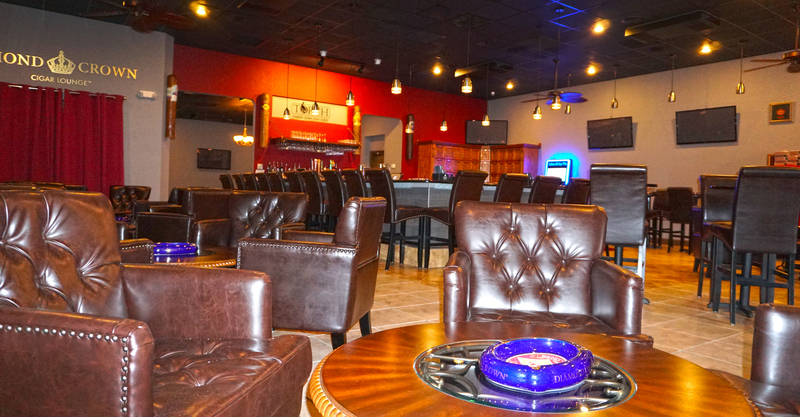 Torch is far from your ordinary Cigar Lounge. 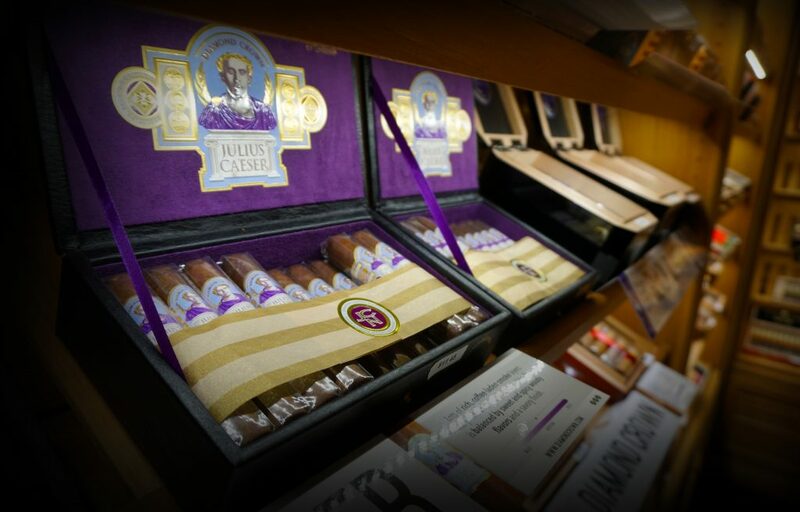 Being a “Diamond Crown” lounge, meaning you’ll always have access to the finest Diamond Crown series Cigars produced by J.C. Newman Cigar Company. Diamond Crown cigars were created in 1995 in celebration of the J.C. Newman Cigar Company’s 100th Anniversary. Stanford J. Newman joined Carlos Fuente Sr. to create a super-premium cigar unlike anything that was out in the market, and the Diamond Crown’s recipe of blending 6-7 individual tobacco leaves in a single cigar was unheard of at the time. The resulting cigar was the complex and flavorful Diamond Crown that went on to become one of the most revered in the industry, landing numerous high ratings from Cigar Aficionado and securing its spot in the humidors of serious smokers around the globe. The Diamond Crown Julius Caeser named after the founder of J.C. Newman Cigars, is my favorite stick in the humidor. Dressed in an Ecuador Havana-seed wrapper draped over a Dominican binder, and featuring an eclectic mix of Caribbean basin and Central American fillers, this gem of a cigar is nothing short of fantastic. Enjoy smooth and robust flavors galore, including rich coffee, sweetness, spice, and wood. Pair it with a 4 roses single barrel Manhattan in the evening or a cappuccino with the paper and call it a day. it doesn’t get a whole lot better than that! 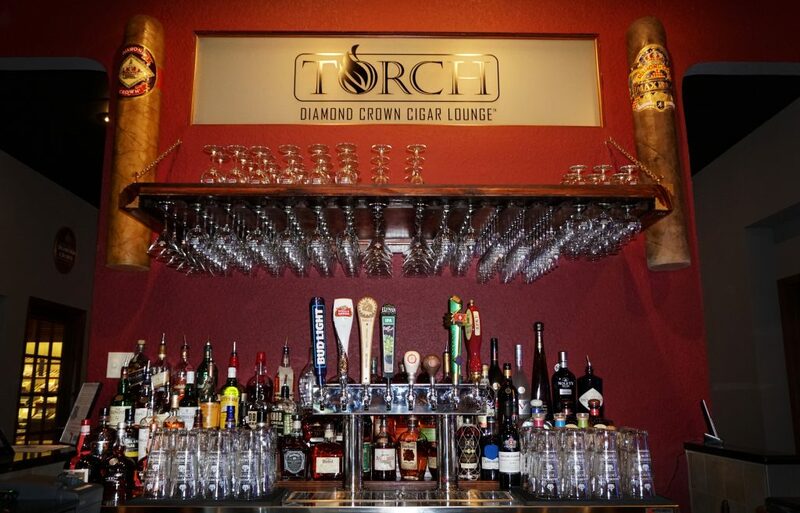 Torch Diamond Crown Cigar Lounge invites all of you to experience YOUR very own Cigar lounge sanctuary. Please stop by and pay them a visit soon. 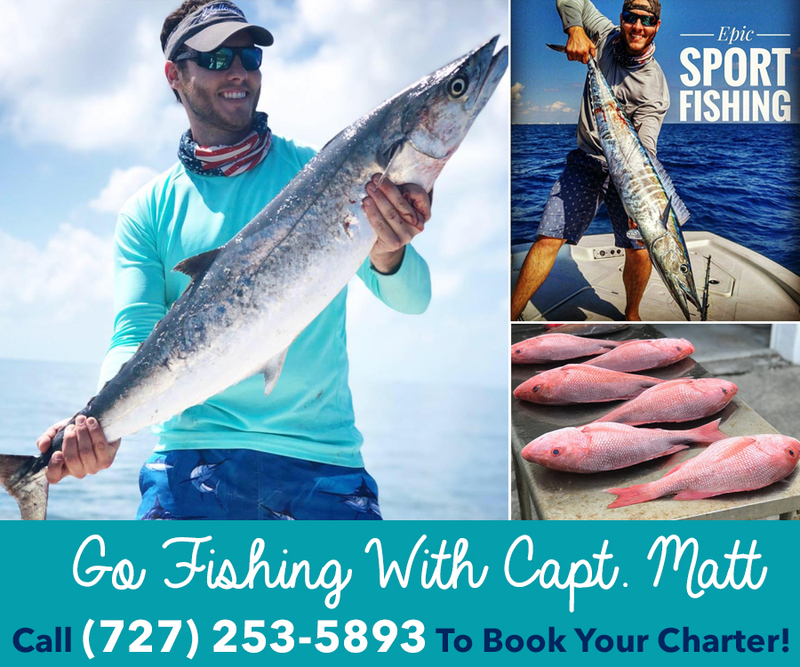 We think you’ll be very impressed and we’re confident you will have an excellent time!